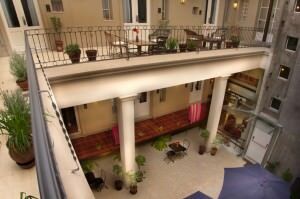 Patios de San Telmo is a character hotel located in Buenos Aires, in the picturesque San Telmo neighborhood. 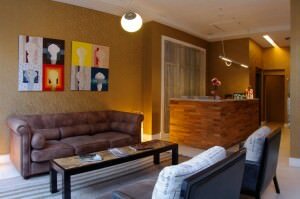 The building is an old tenement renovated and transformed into a modern hotel. The reform, conducted by the architectural firm Neumann Kohn, has been made respecting the original architecture, focusing in turn on sustainable design. The project was awarded with the second prize in the contest for Best Interventions in Protected Buildings of the city organized by the city hall of Buenos Aires. Patios de San Telmo is a little gem, a 4-star boutique hotel in the historical city of Buenos Aires district. The hotel offers its guests all the comfort of a 4 star hotel, a heated pool and solarium, free wifi internet, front desk and business center 24 hours. But also, it has a library, a craft space and a permanent art exhibition. Walking through the courtyards of Patios de San Telmo while having a drink or snack on the terrace is finding, small contemporary works of art in every corner unexpectedly. Telmo Deli Restaurant in addition to offer breakfast and lunches to the guests is one of the referents of the City of Buenos Aires regarding restaurants of healthy and natural food. Besides offering a daily menu, Telmo Deli features dishes made especially for vegetarians and coeliacs. 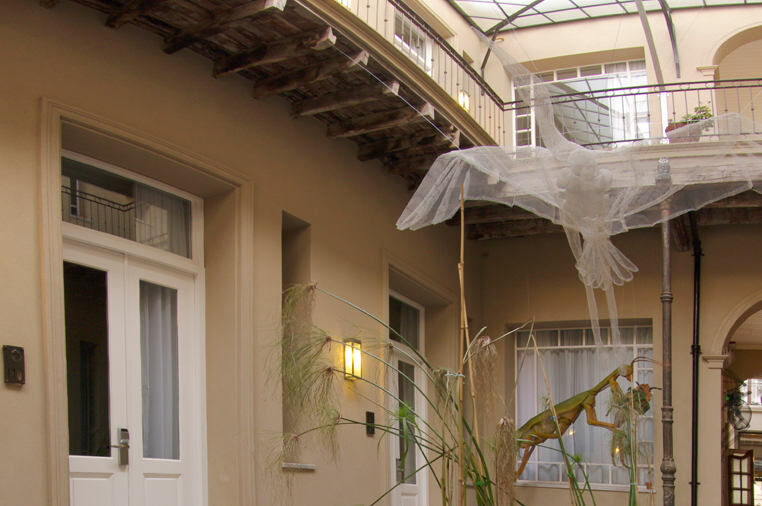 Hotel Patios de San Telmo is a boutique hotel with a friendly atmosphere. A heaven of peace in the heart of Buenos Aires. This quiet hotel encourages both romanticism as concentration and relaxation after a long day of work. It is also the ideal starting point to explore the bustling and charming city of Buenos Aires. 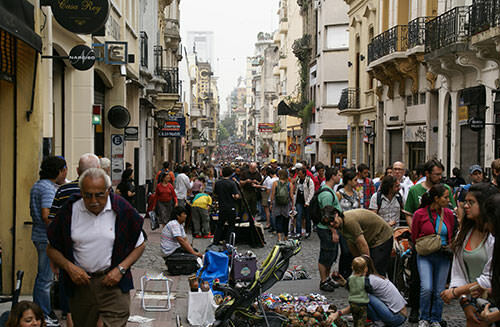 San Telmo is a privileged neighborhood of Buenos Aires city. This is an antique neighborhood that has preserved its charm and its historic past, becoming today in a picturesque area littered with small trendy cafes. 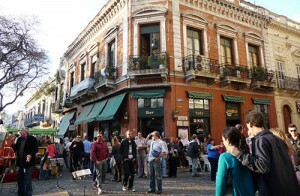 San Telmo is the neighborhood of antique shops. During the weekend the antiques and crafts market around Dorrego Square takes place. 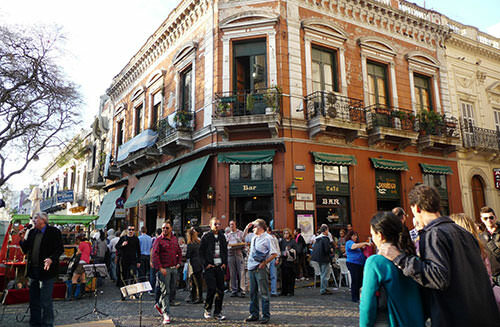 This Buenos Aires neighborhood is characterized by its narrow cobbled streets, bohemian atmosphere and colonial architecture. No wonder that the environment is magical and therefore the ideal place to discover Buenos Aires. 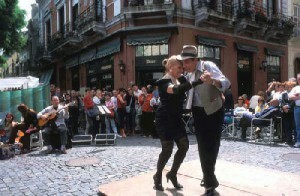 During the weekends the streets are filled with tango. San Telmo is where most tango is danced in Buenos Aires, within its premises, and in summer some couples dare to show their art on the streets. It is a luxury to sit on a terrace and to observe them.